As a manufacturer of child, dog and cargo trailers, we have made it our mission to understand the various needs of our customers and ensure that our products perfectly satisfy these needs. We, the engineers, textile designers and product developers at Croozer, are driven by the aspiration to achieve the highest possible quality standards in everything we do. 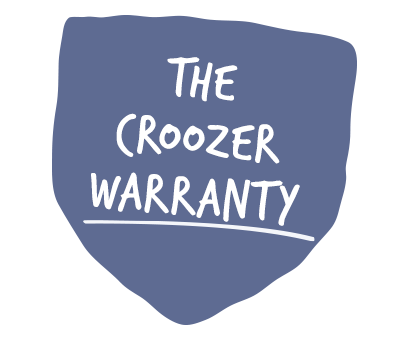 Therefore, our Croozer warranty ensures you a 3-year warranty on all our bicycle trailers starting with the 2018 model year and a 10-year warranty on the safety frame. Learn more in our warranty statement. You can count on the safety of your Croozer. 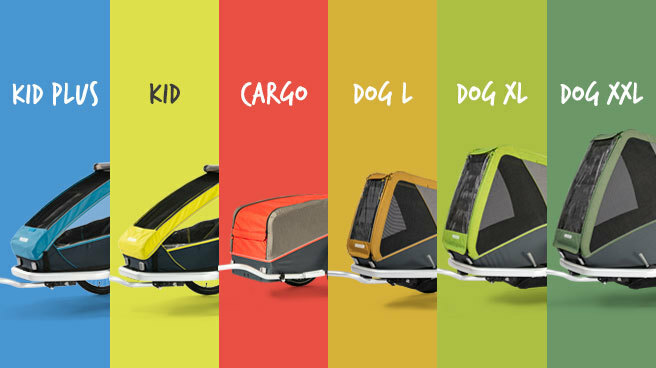 Our Croozer Kid and Croozer Kid Plus child trailers are tested to the standards EN 15918 for bike trailers and EN 1888 for wheeled child conveyances. Our Croozer Kid and Croozer Kid Plus child trailers are regularly tested and inspected. We guarantee that your Croozer is a completely safe product that satisfies all current testing criteria. Click here for more information on Tested Plus. Starting with the 2018 model year, we are equipping our child trailers with special plastic windows to ensure that all young Croozer passengers are well-protected from the sun’s harmful rays. These windows offer a high ultraviolet protection factor (UPF) of 80+ according to UV Standard 801.
bring the world of bike trailers closer to interested cyclists across Germany. If someone would have told him that, 25 years later, his daughter would be working in the company with him, that his small, one-man operation would grow into a family-run business with 40 employees and that the company would evolve from the retailer and wholesaler “Zwei plus zwei” to the manufacturer “Croozer GmbH”, he probably would not have believed them. Nowadays, it’s hard to imagine a bike path or city street without bicycle trailers. They have become an integral part of many people’s everyday lives and, together with bicycles, represent a modern, forward-looking mode of transport. However, when the foundations of today’s Croozer GmbH were laid in 1993, the bicycle trailer as we know it today was nowhere to be seen. As a dealer, distributor and manufacturer, we are delighted to have been one of the pioneers of this sector and proud of the integral role we have played in the burgeoning popularity of the bicycle trailer over the past 25 years. Our primary interest from the very beginning has been offering trailers that best meet our customers’ needs, with our high standards for quality, safety and comfort. Our numerous innovations and patented inventions are the fruits of our tireless development work, which is aimed at simplifying our customers’ lives while on the move. We offer a three-year warranty on every Croozer trailer and a 10-year warranty* on the frames. To ensure that your outings with the Croozer are not only easy to use but also worry-free, all of the materials we use undergo stringent testing for harmful substances, and all technical functions are subjected to the most rigorous laboratory tests.